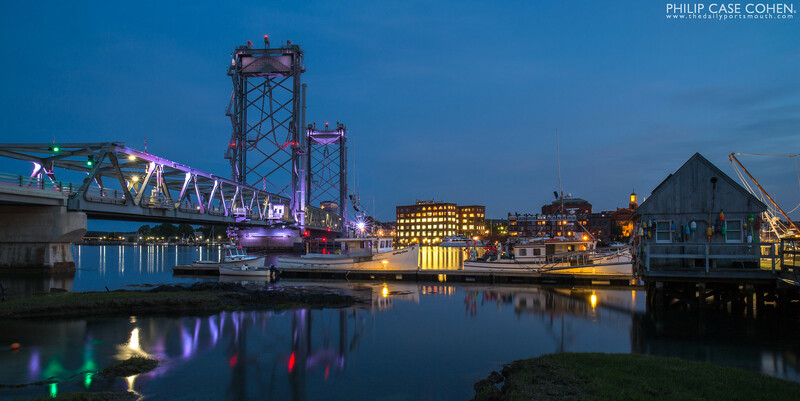 A beautifully serene evening over the Piscataqua River with Portsmouth in the distance and working waterfront of Kittery, Maine in the foreground. You can’t see too many snowflakes here because of the long exposure, but this image was taken late in the evening as the snowstorm was winding down this past weekend. It was a pretty cool scene to enjoy during the storm with the lighting – especially with the quiet that set out over town as people hunkered down and stayed inside. The LED lighting overpowers the scene with the long exposure, but I like the star-like appearance of the light itself – so I decided this one is a keeper. 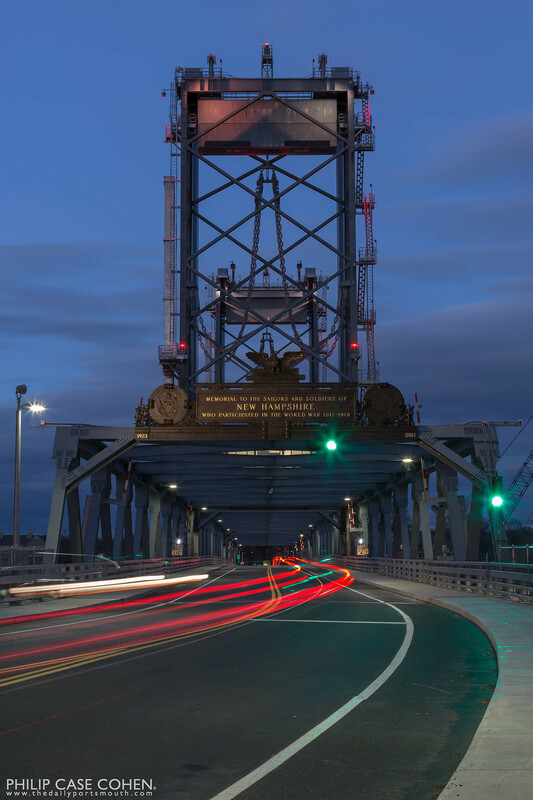 The lighting system for the Memorial Bridge illuminates the modern structure and its reflection in the Piscataqua River. 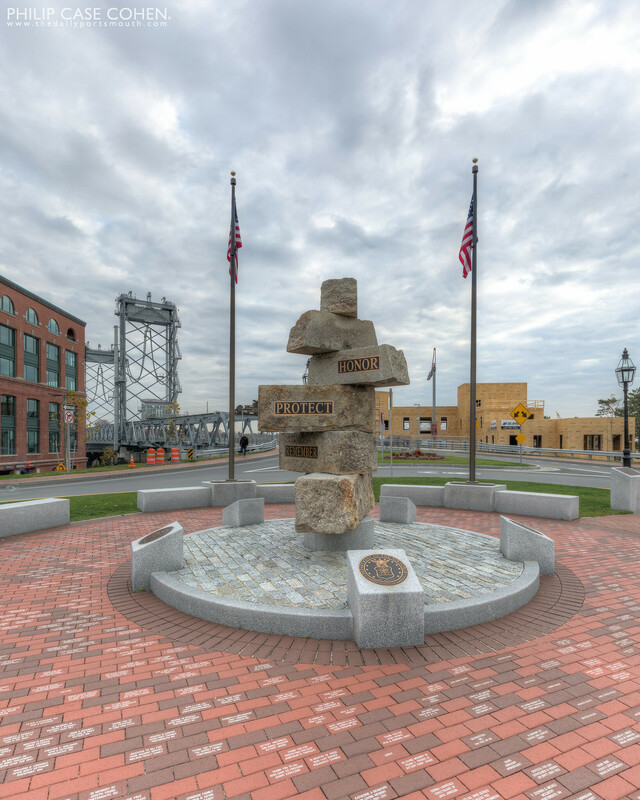 As seen from the waterfront in Kittery, Maine. 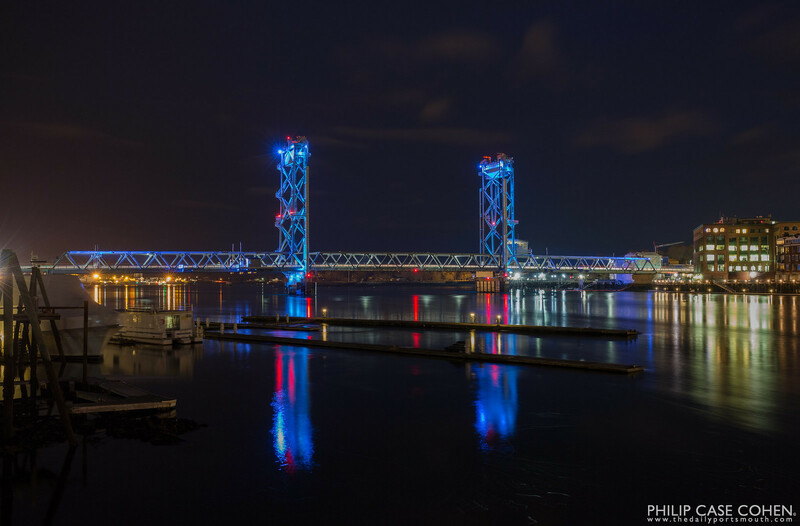 The Memorial Bridge is one of my favorite places in the Seacoast as you can enjoy a fantastic view of Portsmouth and Kittery on a walk over the Piscataqua River. 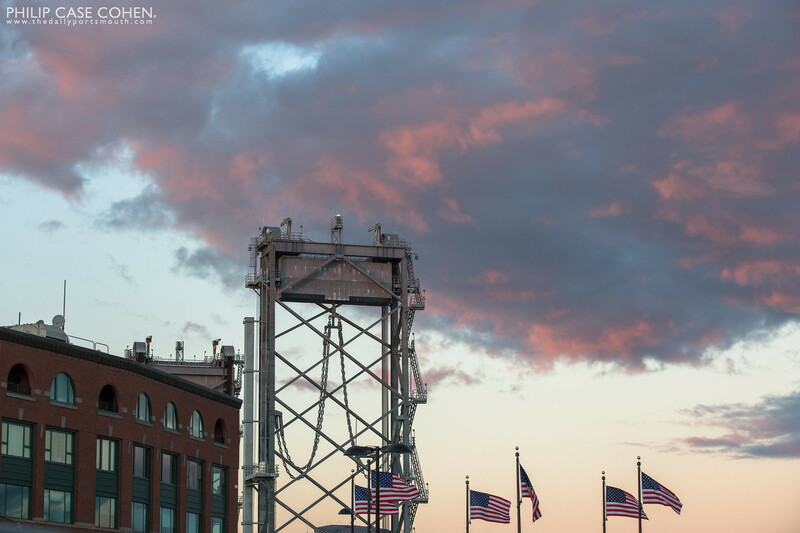 The positioning of the bridge provides great views of sunrise and sunset – but on this particular evening I was drawn to the architectural detail and symmetry of the structure and the motion of the cars in either direction as they passed by. 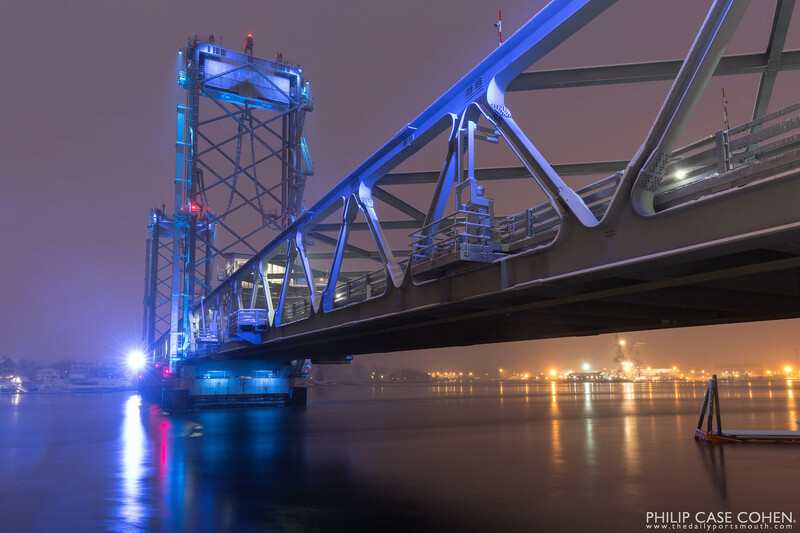 It’s not often that the powerful waters of the Piscataqua River appear to be so calm. 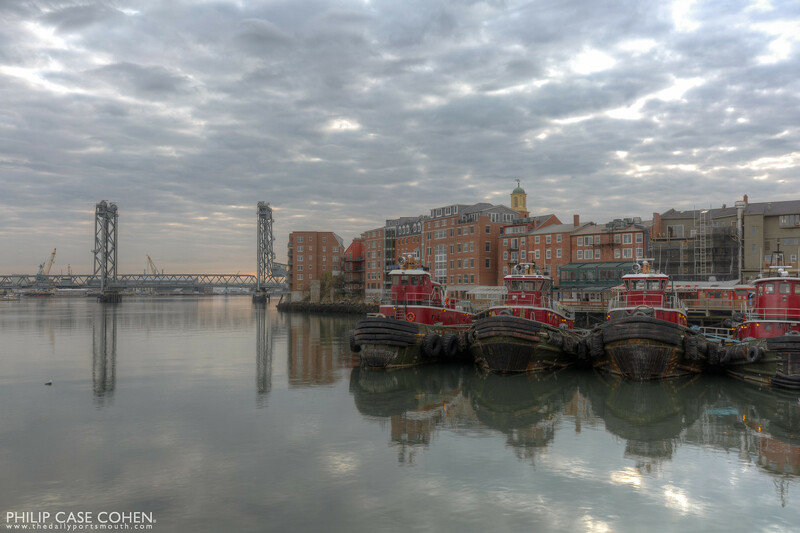 A late afternoon visit to one of my favorite Portsmouth scenes revealed a peaceful scene of the Moran Towing tugboats. In America, we wouldn’t enjoy the freedoms that we experience every day without the veterans who sacrifice so much to serve and protect life, liberty and the pursuit of happiness. Today I am remembering all of those veterans who are no longer with us, and recognizing with gratitude those who are currently serving abroad and those who have served in the past. 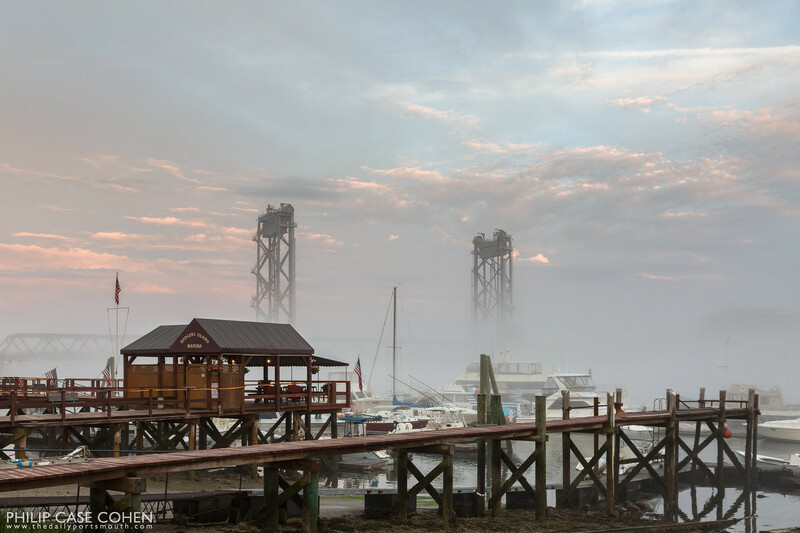 On a summer evening, the fog was so thick that you could barely see Portsmouth from Kittery, Maine. Badger’s Island Marina can be seen in the foreground with the Memorial Bridge peeking through the dense fog in the distance – all beneath a summery sunset.